with thanks to NYC Parks Dept. 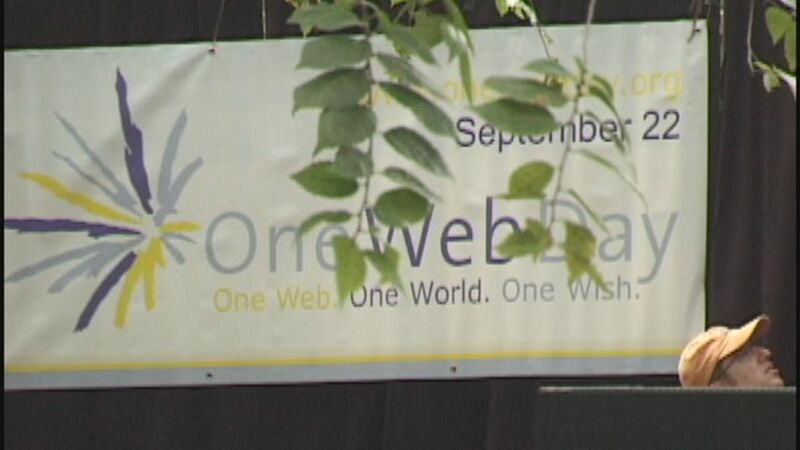 "one web, one world, one wish"
OneWebDay - a global annual event that celebrates,and draws attention to threats to, the internet - is held every September 22. In 2008 this was a Monday - a breezy pleasant day as we gathered in NYC's Washington Sq.Park, The many illustrious speakers had to compete with occasional rumbles from nearby workers reconstructing the fountain. The OneWebDay theme this year was 'Democracy and Participation'. Educators, librarians, and other interested parties can obtain a free DVD of this talk by emailing dvd@isoc-ny.org - ask for DVD1451.